Artist Scott McKowen has mostly focused on theater work, earning accolades for his illustrations and designs of posters, programs and brochures for companies all over North America. His ventures into print illustration have met with equal success. In 2003, he was a surprise and welcome choice as cover artist for Marvel Comics’ 1602 mini-series, written by Neil Gaiman, about superheroes as Elizabethan characters. McKowen’s Frankenstein is part of an outstanding collection of some two dozen covers for the Sterling Publishing Company’s Unabridged Classic Series. A dream assignment if there ever was one. The illustrations are done scratchboard style, evoking old engravings, and finished in muted, intermediary colors. The artist’s technical mastery is matched only by his impeccable choices of cover subjects. McKowen never shows the obvious, the expected. His covers are not so much illustrative as they are revelatory. The scenes depicted are often brief moments, mere glimpses into the story that somehow manage to capture the very essence of the book. 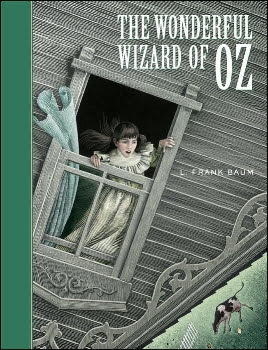 For example: A cover for The Wonderful Wizard of Oz focuses on Dorothy looking out of a window. In the distance, a cow is tumbling through the air. It’s only when you notice that the window Dorothy stands at is upside down that you understand the whole house is caught up in a tornado, and the adventures has begun. A cover for Treasure Island has no pirates, no islands, no treasure chest. It shows sails billowing against the sky, and the tiny figure of the boy clinging to the mast. McKowen’s cover for The Secret Garden doesn’t show the garden, it shows a girl opening a door to the garden and looking in. You are pulled in because you want to see what she sees. 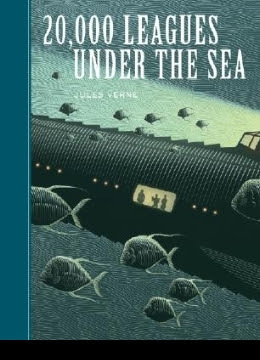 Illustrations for Jules Verne’s 20,000 Leagues Under the Sea invariably include the key scene when Nemo and his guests look out the giant porthole. We usually stand behind them, looking over their shoulders at the sunken marvels beyond. McKowen reverses the scene. We are outside, looking back at the Nautilus’ riveted hull and the men silhouetted at the window. We can only imagine the wonders that they see, which is what the book will tell us. The illustrator’s purpose is not to describe, but to entice. 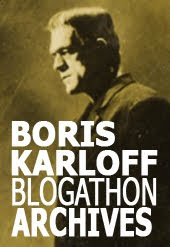 The Frankenstein cover also eschews the obvious. No laboratories, no lightning storm, no stitched monster. 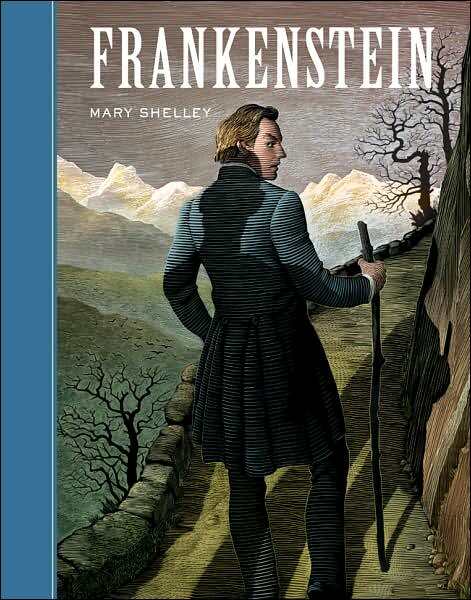 We see Victor Frankenstein — after all he’s the title character — strolling away from us on a path, in the Swiss Alps. He glances back at us in a moment of surprise, just now aware of a presence, as a giant shadow falls upon him. 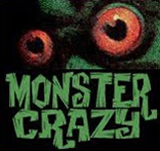 This is the scene where the Creature meets Victor and demands a mate, but McKowen shows us the instant, heavy with menace, before the confrontation. You can admire all of Scott McKowen’s Unabridged Classic Series covers on the Sterling Publications site, but I suggest you go to the Barnes & Noble site where the covers pop-up in much larger format. These illustrations deserve to be seen as large as possible. There are other lovely McKowen illustrations on his Rep’s site here and here. Such is the quality of McKowen’s research that he would identify and use as inspiration a passage from a poem that had heavily influenced Mary Shelley’s Frankenstein.